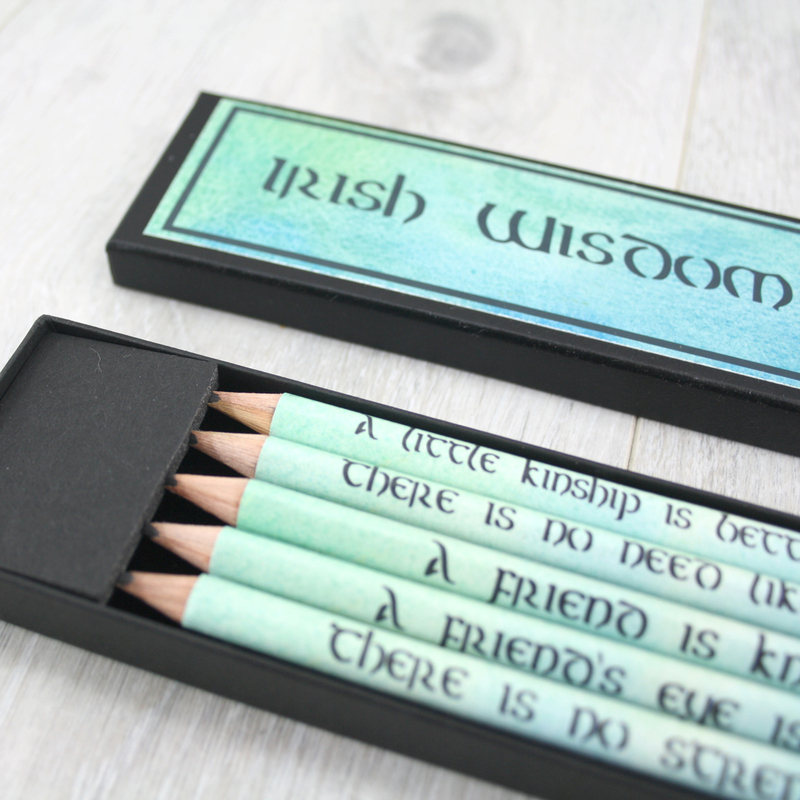 A set of quote pencils, each with an ancient Irish proverb on it. 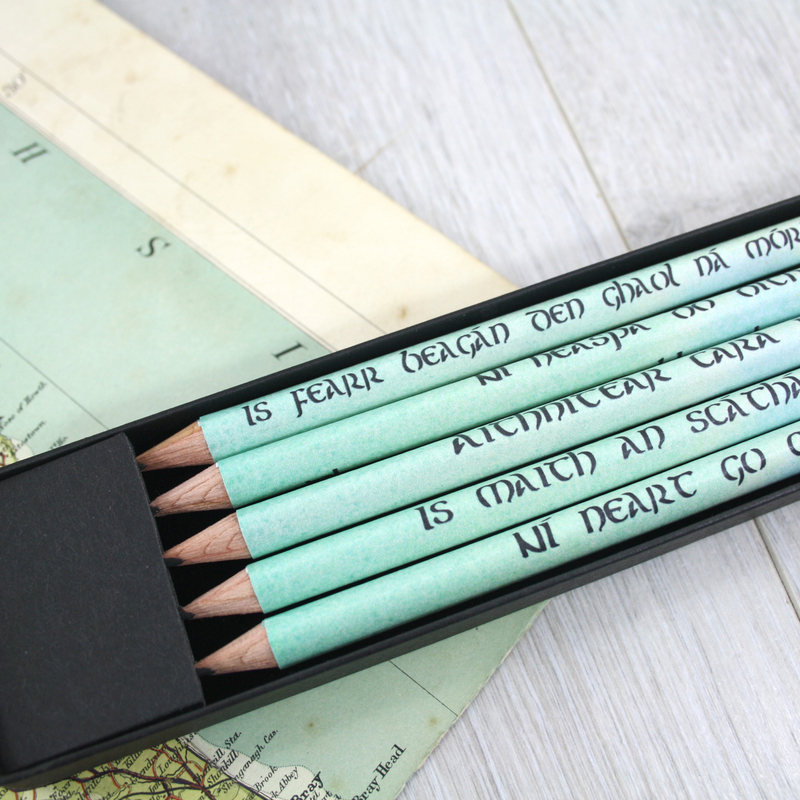 The pencils are bilingual with the Irish saying written in both Irish and English. 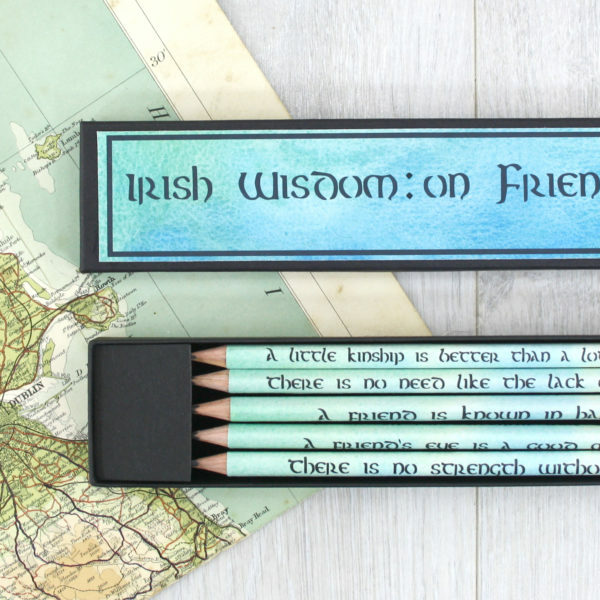 A thoughtful gift to give your Irish friends this St. Patricks Day. 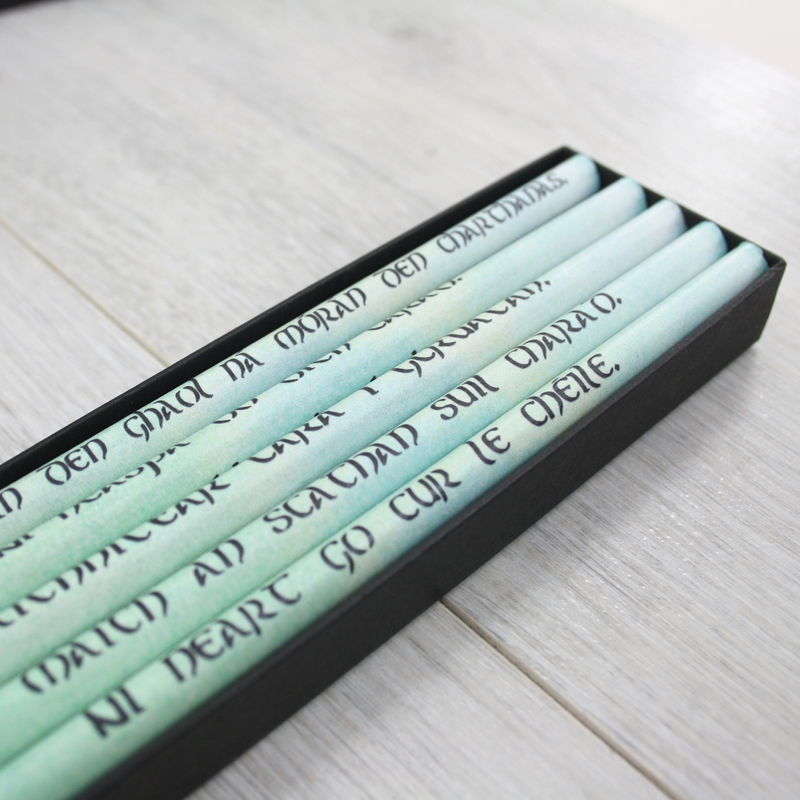 Ní heaspa do díth carad. 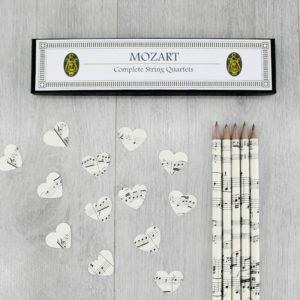 There is no need like the lack of a friend. 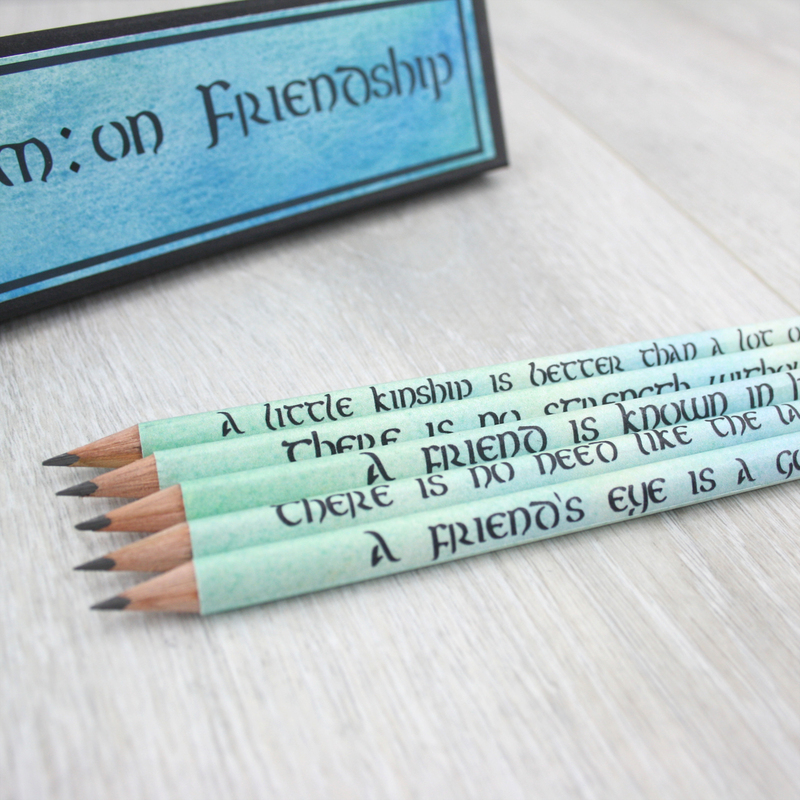 A friend is known in hardship. 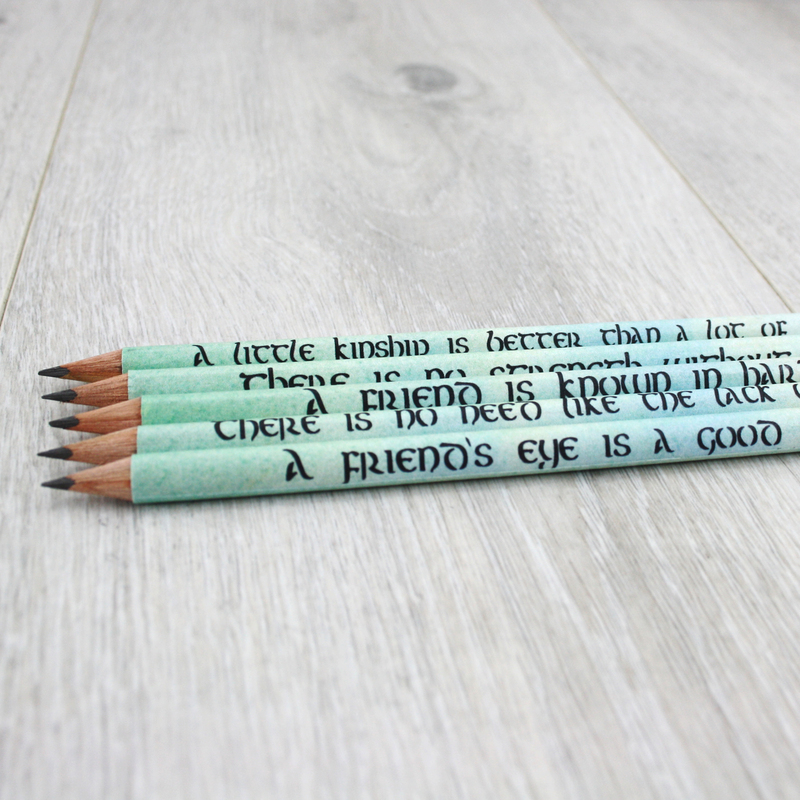 A little kinship is better than a lot of charity. There is no strength without unity. 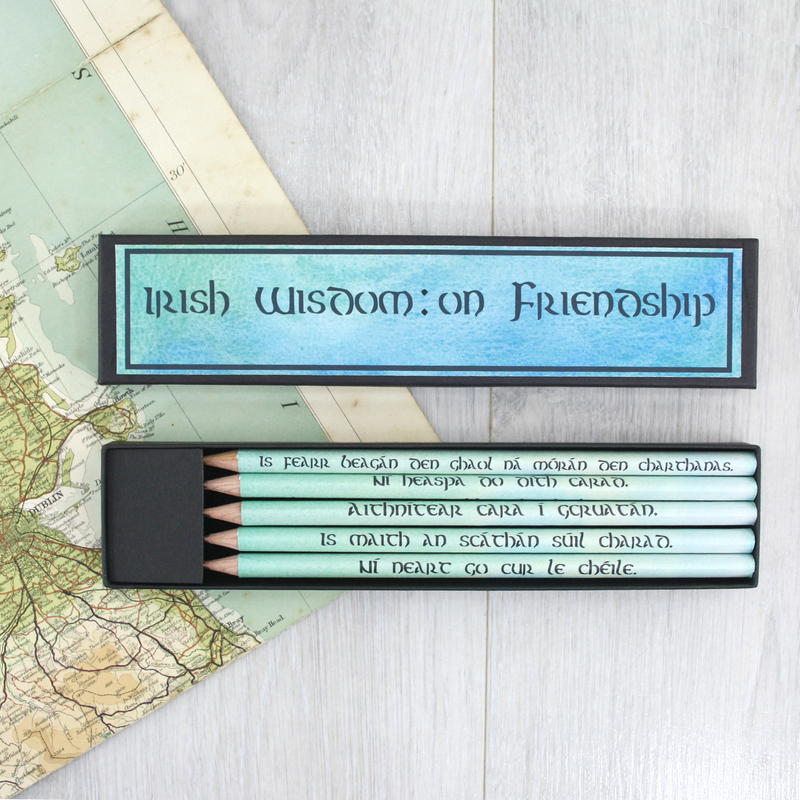 An Irish friendship gift to give family abroad, tourists and your best friend. Learn a little bit of Irish wisdom this St. Patricks Day. 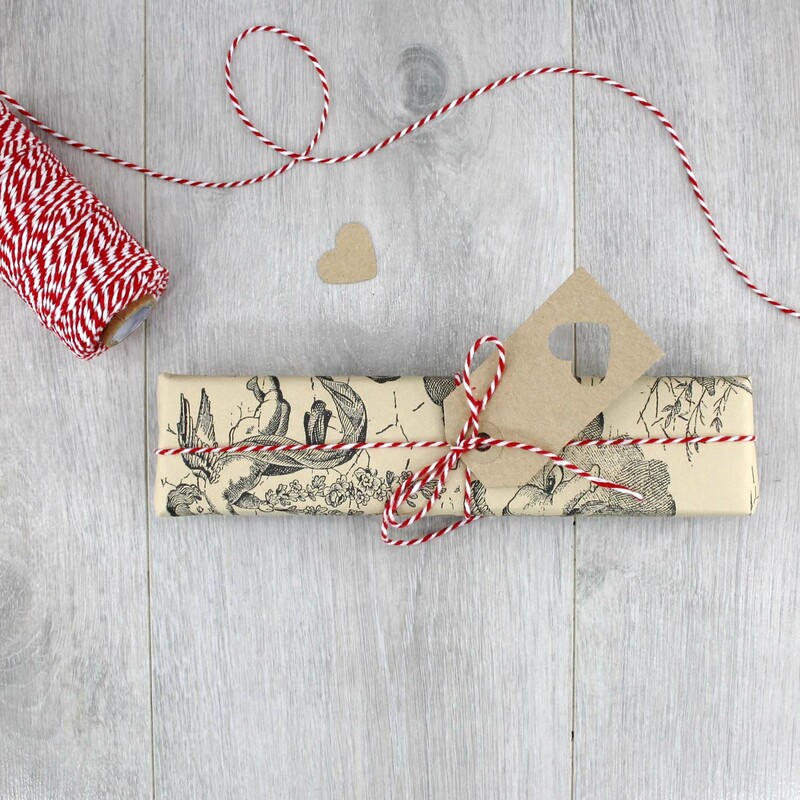 There are two options for your gift wrapping. 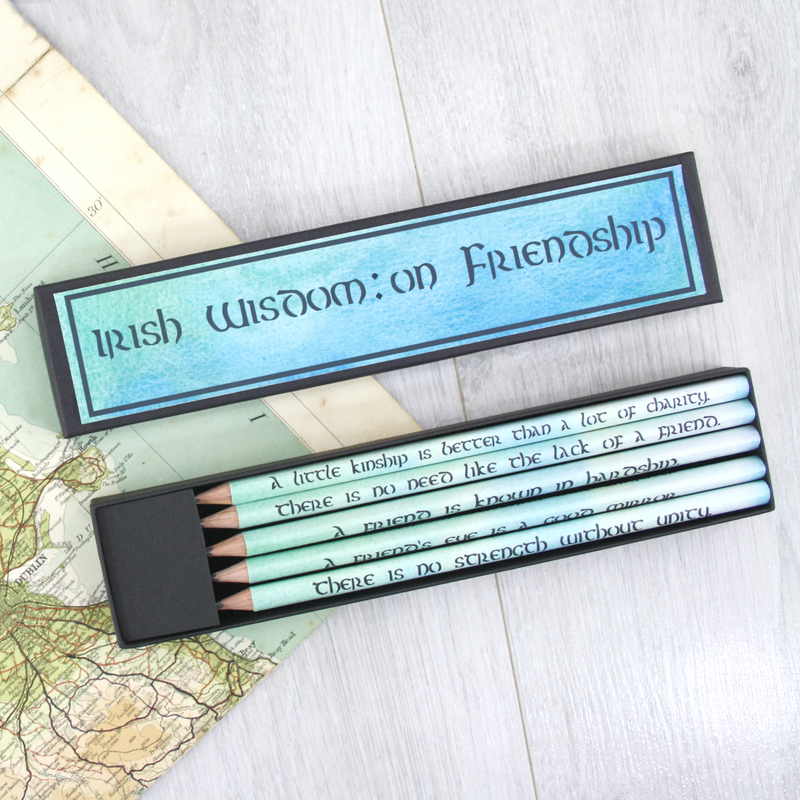 You can have your Irish Friendship gift wrapped in a random vintage atlas map page as seen in the photos. 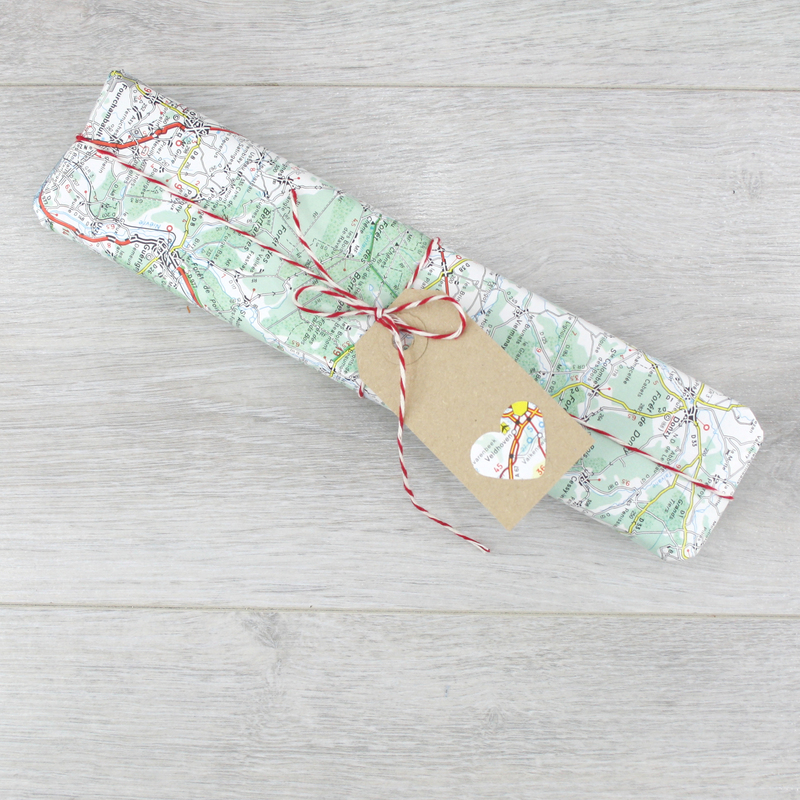 Or you can choose out luxury heavyweight gift wrapping paper as seen in the final image. 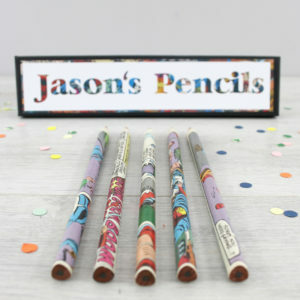 Set of five HB 3 sided timber pencils. 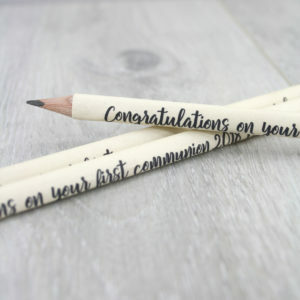 From sustainable forests FSC certified. 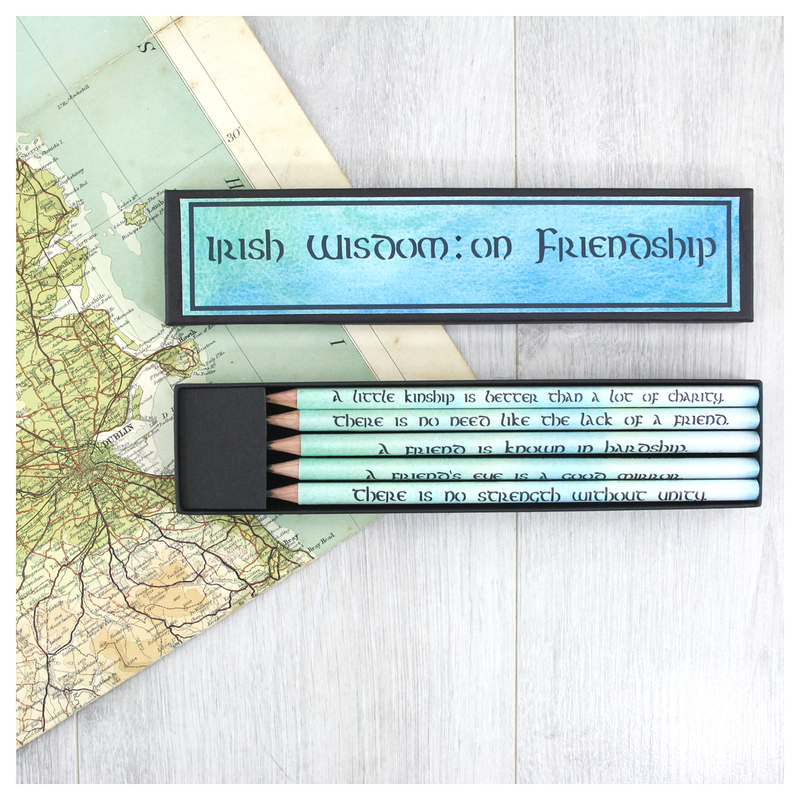 The pencils and the gift box are sealed with a hard wearing matt varnish that prevents the text from fading.